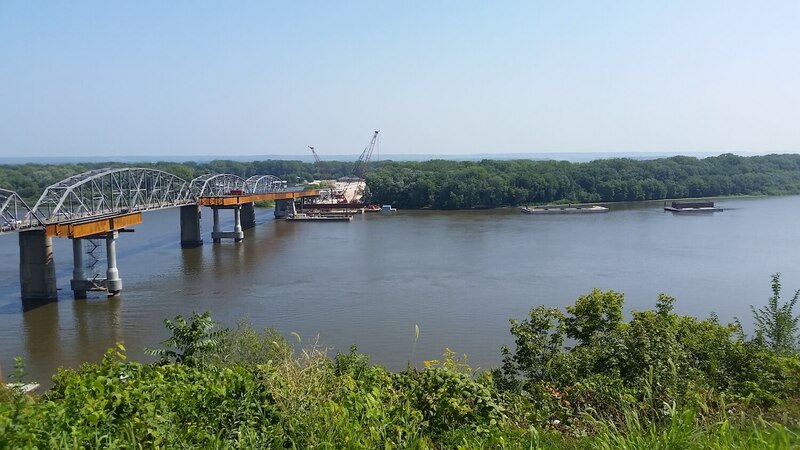 Fabricated in 2018, the new Champ Clark Bridge connects Missouri and Illinois in Louisiana, MO. 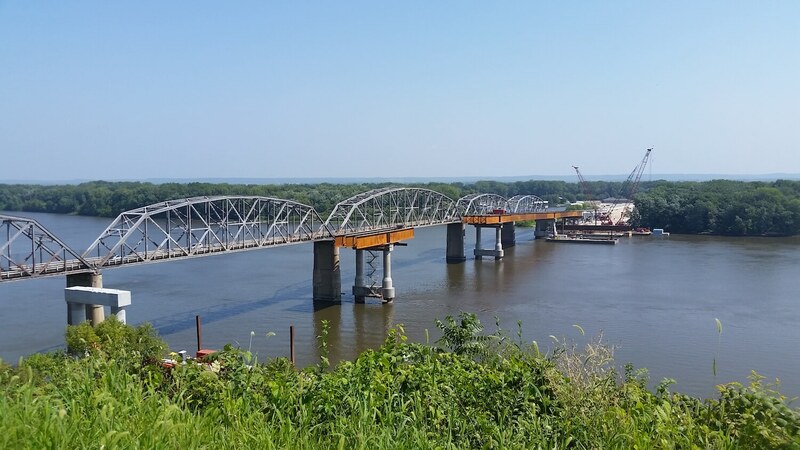 The structure has five spans totaling 1,838 ft. across the Mississippi River and is constructed of approx. 3,730 tons of weathering steel.